Sewing machine manuals are an invaluable tool when it comes to understanding how to properly use your machine. These books guide the user through each aspect of the sewing machine, which tasks it can perform and how to operate and troubleshoot a particular model of the machine. Sewing machine manuals can often get lost. For those who purchased a sewing machine used, it may not come with a manual. Not to worry, there are a number of ways to replace a lost or damaged manual. 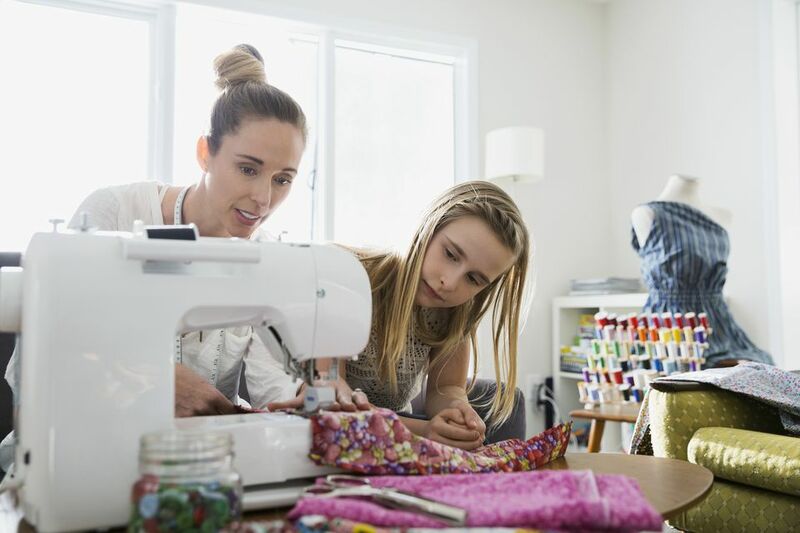 Sewing machines companies understand that machine manuals get lost and will usually assist in replacing an original manual for any sewing machine, even one inherited or bought at a yard sale. Each make and model of sewing machines produced around the world is unique in certain ways. As a result, finding the right manual for a machine can be tricky for those who don't know exactly which make and model they have. This is especially true when it comes to older versions. While some of these manufacturers have extensive collections of manuals dating back to the start of their companies, others' collections only keep the newest models' manuals in stock and must reprint or source older resources upon request.​ Shoppers Rule is a website that sells instruction manuals for more than 15 sewing machine brands. If the manual is still in print, they'll receive an original; if not, they'll make a copy. In the rare case that the manual isn't readily available, they'll try to locate one. The sewing machine manufacturer Singer offers manuals for all models at various prices. Simply use their "Consumer Products" section of the website to locate home machine manuals. Meanwhile, the other companies listed above typically have most of the manuals people are looking for on their own websites. Alternatively, try an internet search of the machine's make, model, and the word "Operation Manual" in quotes. If the machine is a popular model, chances are a PDF version will be available for free (or minimal cost) to print and download at home. No matter which option used to replace a specific manual, it shouldn't be too difficult if the machine was made in the last 100 years.